‘Barack Obama Day’ in Illinois to Celebrate the Obamamessiah’s Accomplishments … Um, Like What? August 4th in Illinois will now be known as “Barack Obama Day.” Imagine that. Just as Barack Obama was provided a Nobel Peace Prize having accomplished nothing to deserve it, the Obamamessiah is now being given his own state holiday in Illinois. It was stated that the “day set apart to honor the 44th President of the United States of America who began his career serving the People of Illinois in both the Illinois State Senate and the United States Senate, and dedicated his life to protecting the rights of Americans and building bridges across communities.”Seriously? What exactly did he do for the American people, Obamacare? As Red State opines, Barack Obama Day will be like “Festivus.” Has there ever been a president who has done less, who has had for fan fare than Obama? And his signature piece of legislation, Obamacare, was nothing more than an intentional lie and failure. Obama escalated the National debt to unsustainable limits. He left the Middle East a powder keg, as Syria and Libya fell into disarray. Let us not forget the Iranian nuclear deal. A day of celebration? What’s next, a National holiday, Mount Rushmore? Former President Barack Obama got a special treat for his birthday this year – his very own holiday. Governor Bruce Rauner signed into law Friday a measure to designate Aug. 4 as “Barack Obama Day” across Illinois. The newest state holiday will be celebrated each year on the 44th president’s birthday, beginning in 2018. The holiday will be “observed throughout the State as a day set apart to honor the 44th President of the United States of America who began his career serving the People of Illinois in both the Illinois State Senate and the United States Senate, and dedicated his life to protecting the rights of Americans and building bridges across communities,” Senate Bill 55 reads. While several lawmakers abstained from voting on the measure, it passed both houses earlier this year without a single vote against. 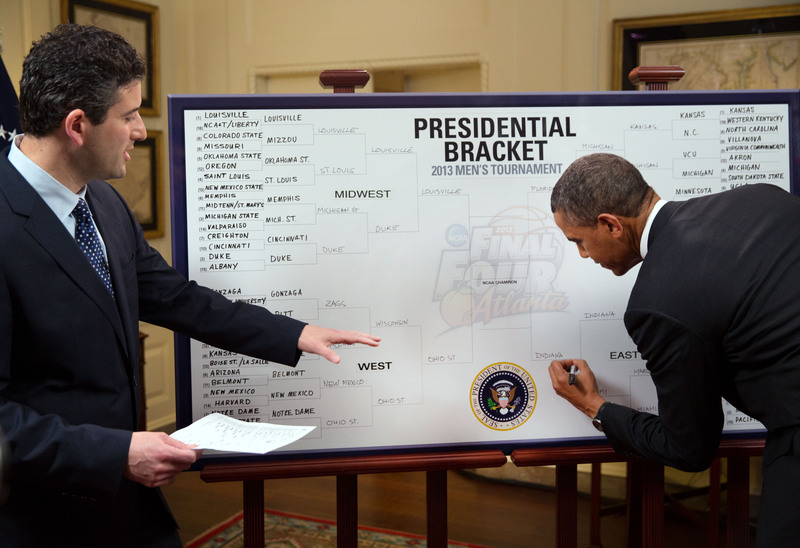 Honestly, what did Barack Obama do for Illinois? Other than being the first black president, where instead of bringing America together like a Nelson Mandella, he decided to fragment it even further. Don’t ask the people of Chicago about the accomplishments of Obama. Chicago was ignored by Obama and became a “killing field” during the 8 years of Barack. Nearly 4,000 people have been murdered in President Barack Obama’s adopted city during his presidency. To some Chicago community organizers and activists — the very role in which Obama sowed his own political seeds — the president’s track record is more mixed. They laud the president and First Lady Michelle Obama for setting an example as role models for young African-Americans, but lament that Obama didn’t do more to tip the scales of inequality they see in city schools that lack proper resources and in Chicago neighborhoods void of economic opportunity. “I think Barack Obama has ignored the black community for eight years, and now he’s coming to take a bow in Chicago while our neighborhoods are suffering from disinvestment and soaring unemployment,” said Ja’Mal Green, who rose to Chicago prominence among a group of young activists who decried police misconduct following the release of the Laquan McDonald police shooting video. How can it be that asking the question, who is the leader of the Democrat party be so difficult to answer? Such was the case for Nancy Pelosi when posed the question. Surprisingly, San Fran Nan could not even name herself. After all, she is the House Minority leader. In an attempt to answer this trick, gotcha question (sarcasm intended) she named former president Barack Obama, the man who lost the House, Senate, Governorships and state houses during his eight years and Hillary Clinton, the individual who lost a presidential election to a so-called unelectable opponent. The correct answer, there are no leaders. The Democrat party is in chaos with no direction, as the far LEFT socialist Bernie Sanders wing of the party battles the establishment. McClatchy-Marist Poll: Is Obama a Great President or the Worst Ever? HMM, IS THIS A TRICK QUESTION? A new McClatchy-Marist poll finds what we already know about current politics of today, its polarized. According to the poll, some consider Obama great, however, plenty find him among the worst. Personally, I would never consider him great, as I would challenge those who do to name what he did to attain greatness? During his presidency Obama increased the national debt more than all previous presidents combined. 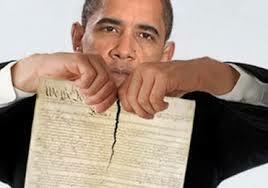 His signature piece of legislation, Obamacare, is a disaster and imploding. It will eventually be repealed and replaced. As Obama leaves office, the Democrat party is in ruin. As we ring in 2017, the Republican party will control the presidency, the House, the Senate, the state governors and the state legislatures. The Democrat party has been pushed far left and has no bench as well. The 8 years of Obama can best be described as uncertain. The meddlesome regulations crushed industry and his Pollyanna, politically correct views on terrorism were dangerous. 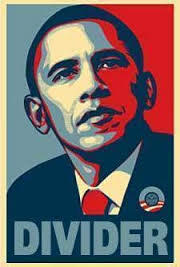 However, what might be most disappointing and considered an epic fail on the part of Obama is his promise of change. Many took that as Obama would be a bridge between the races and he would bring a welcome change to race relations in the United States. Instead, he did just the opposite. 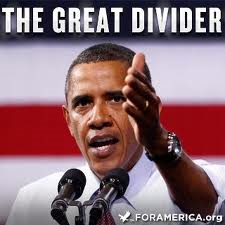 Obama was the divider in chief, pitting black against white, rich against poor and the political establishment against the common everyday people. America’s first vote on President Barack Obama’s place in history teeters on the edge as some find him a great president – but plenty find him among the worst, a new McClatchy-Marist poll finds. As Obama heads toward the exit, almost the exact same number of Americans put him at the top as put him at the bottom: 16 percent said he’ll be remembered as one of the nation’s best presidents; 17 percent called him among the worst chief executives ever. The rest are in the middle, with 24 percent calling him above average, 28 percent calling him average and 14 percent saying he was below average. Obama’s current job approval numbers are near his all-time high. But that doesn’t translate into a comfortable place in history. He has been and remains a polarizing figure. “It follows party lines,” said Lee Miringoff, director of the Marist Institute for Public Opinion in New York, which conducted the survey, of the longer views of Obama’s presidency. Barack Obama might not be the worst ever, but when it comes to accomplishments and benefits to the US, he cannot be considered great. He belongs in the bottom 4th of those who have held the office. At no time will we ever confuse Obama with George Washington or Abraham Lincoln.